Fox has released promotional images from this week's all-new episode of The Orville. 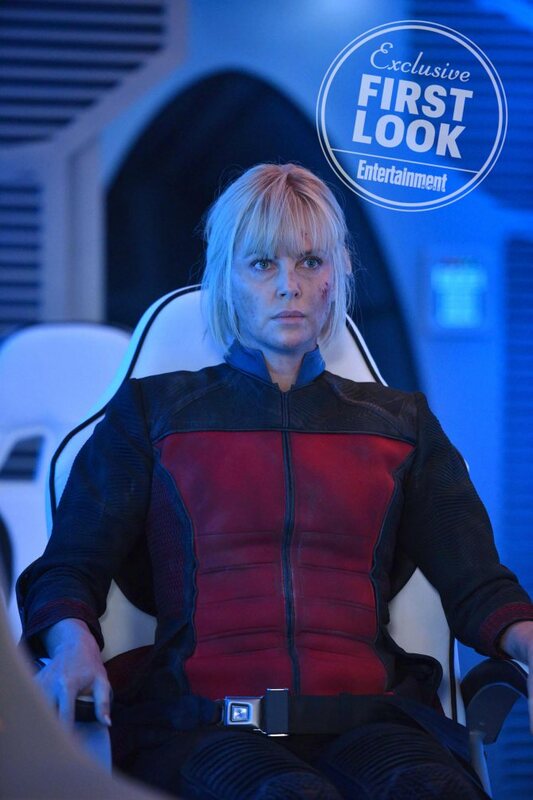 The episode is entitled Pria, and sees the crew saving a stranded ship and its captain - portrayed by The Fate Of The Furious and Mad Max: Fury Road actress Charlize Theron. 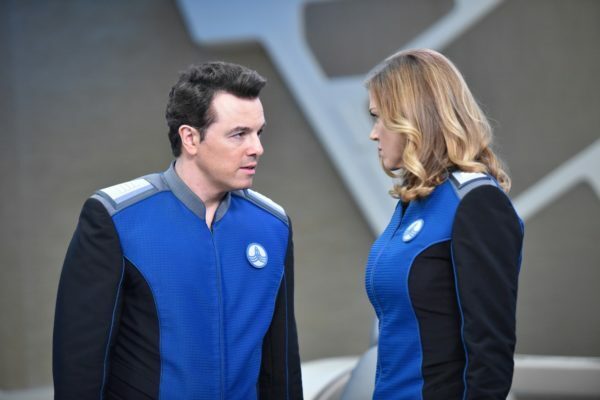 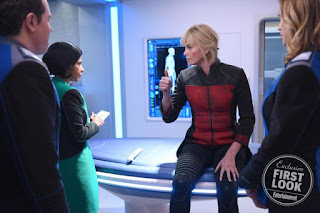 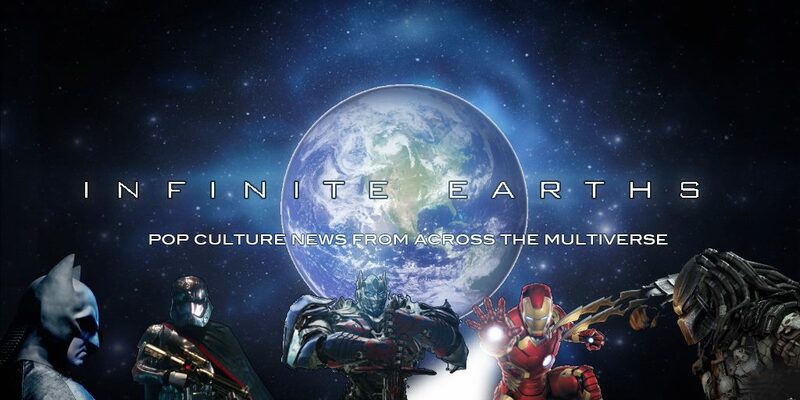 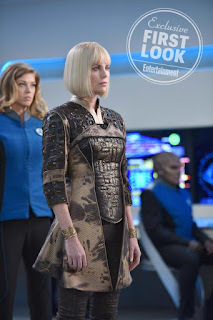 After the crew saves a stranded ship and its attractive captain (guest star Charlize Theron), Ed becomes smitten with the Orville’s new guest, while Kelly suspects all is not what it seems. 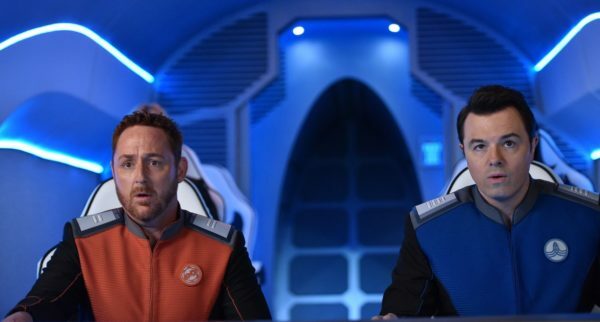 Meanwhile, Gordon attempts to teach Isaac the art of pulling off a practical joke. 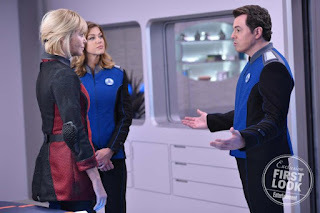 The Orville returns Thursday, October 5th at 9pm.